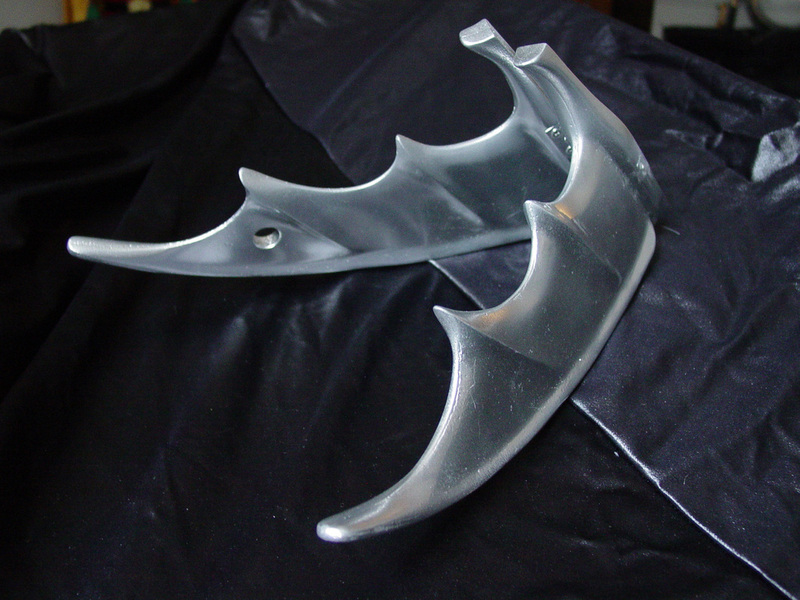 Folding and locking "hero" Bat-A -Rang weapon (used by The Batman) cast in solid urethane by Mr. Clint Young of CY Productions. 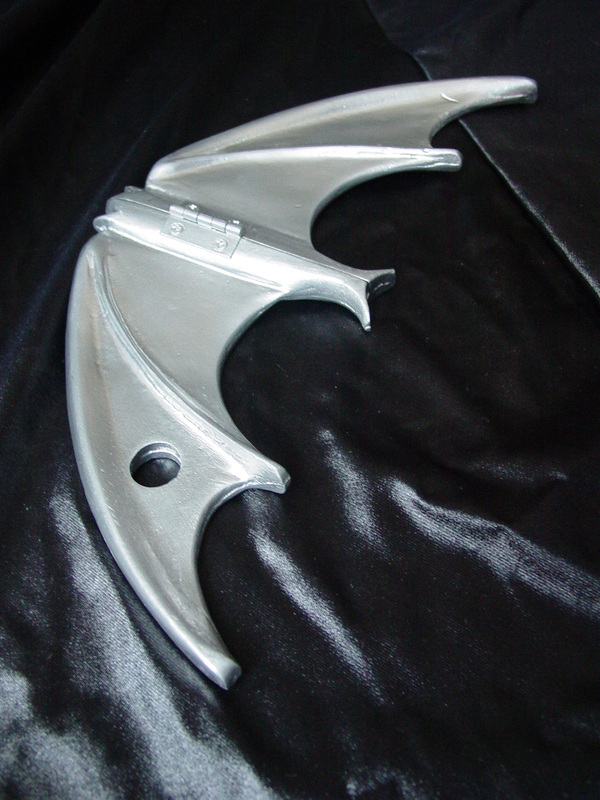 Folding and locking "sidekick" Bat-A -Rang weapon (used by Robin The Boy Wonder and Batgirl) cast in solid urethane by Mr. Clint Young of CY Productions. 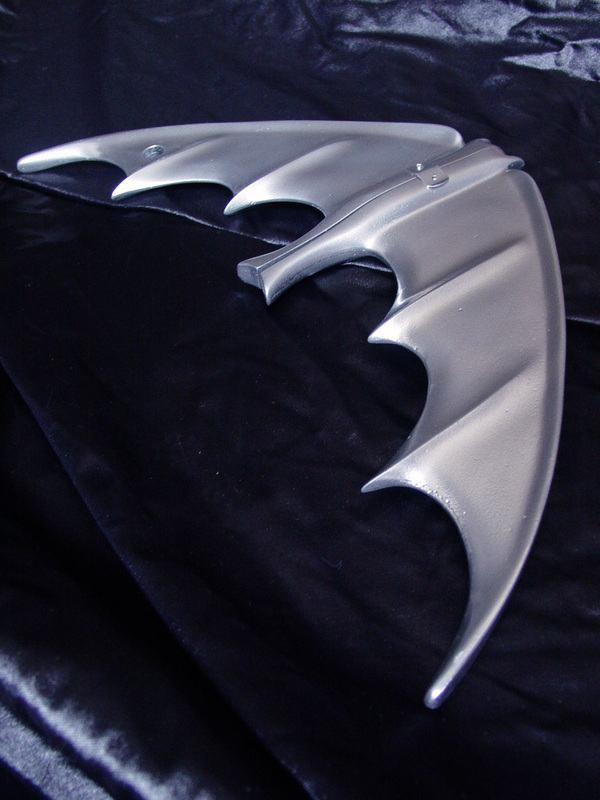 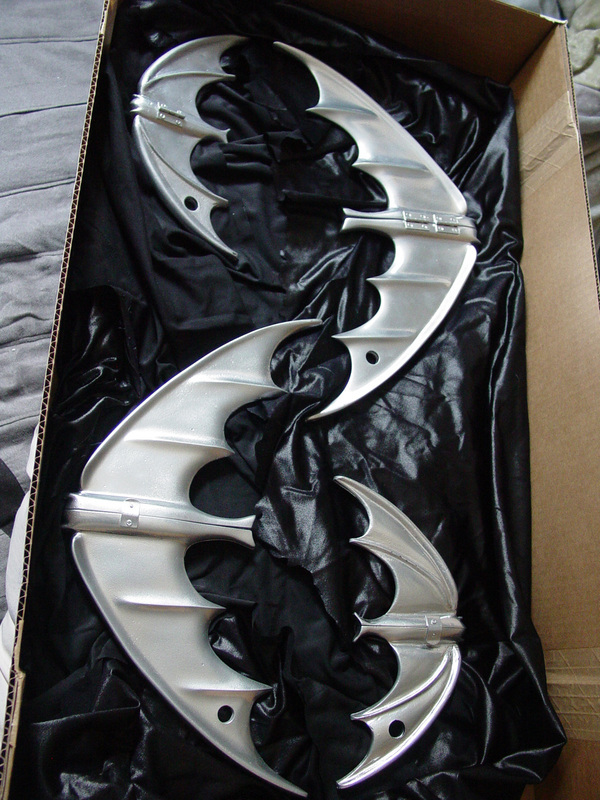 Bat-A Rang weapon props painted in chrome silver by Production Designer Roberto Williams. 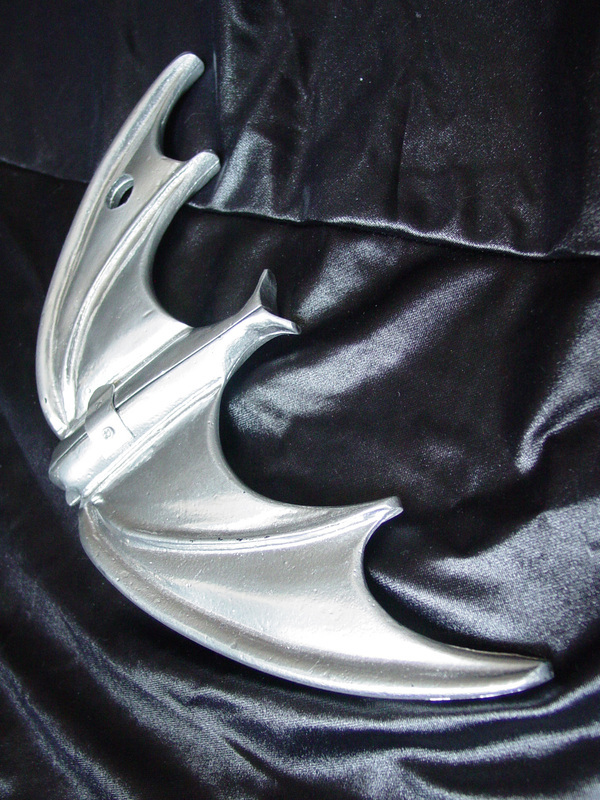 Chrome paint scheme is intended to make the prop more visible in moody, dark lighting scenes on stage.